VF Newsletter / January 28 / Here they come…Aquí vienen! 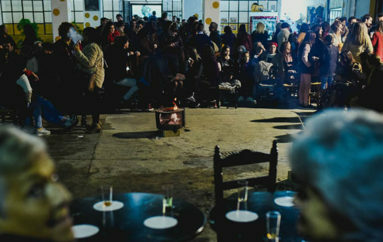 (main page / right side bar) …and never miss a Flamenco beat or important event near you! 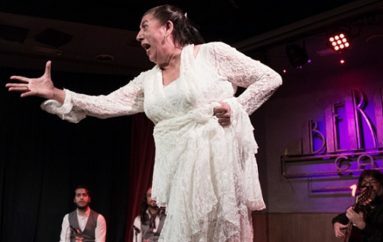 ‘CUMBRE FLAMENCA’ with guest artist María Juncal; The Colony Theatre in Burbank! Show Tickets Here! 3-Day Dance Workshop in Los Alamitos! 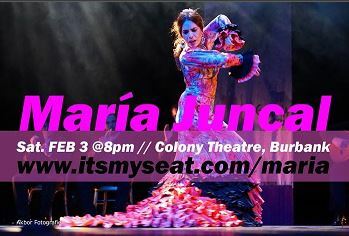 World-renown Flamenco dancer María Juncal Feb. 2, 3 & 4 ~ Enrollment: Workshop Click Here! Or Here! 2-Day Dance Workshop in Santa Barbara! 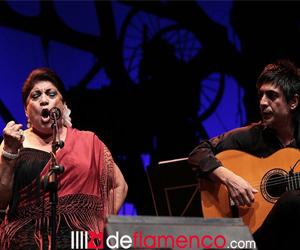 Oh how she sang…the daughter of Fernando Terremoto!